Home»Blog»Why Mardi Himal Trekking is an amazing Adventure? The Mardi Himal Trekking is trekking experience that is more suited for people who want to explore the less-visited parts of the country. It is a relatively new trekking route located in the Annapurna region. “Officially” opening in 2012, the Mardi Himal Trek does not receive as many visitors as other more famous trekking destinations. Because of this, the trekking experience here is filled with unadulterated natural beauty and ethnic cultures. 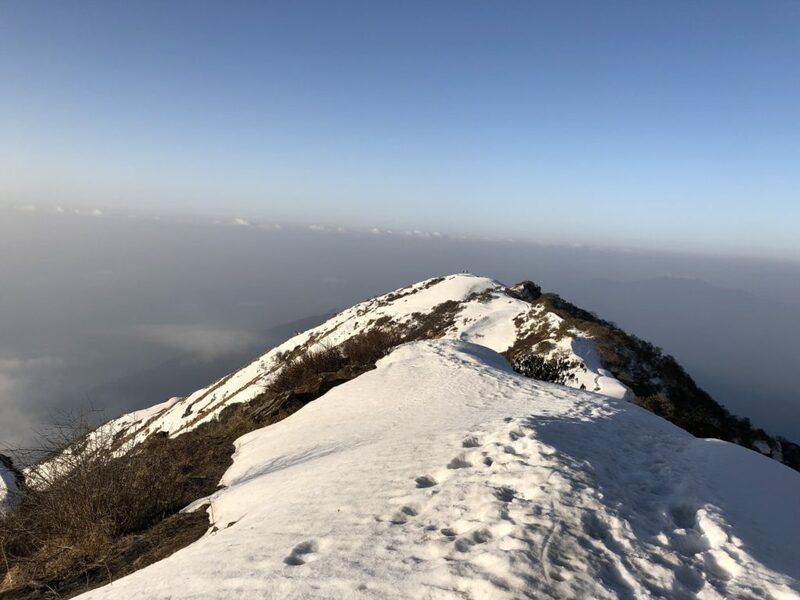 If you are looking for a tranquil trekking destination without other tourist encounters and just raw opulence of the natural beauty and rich traditions of the people, then this trek is the one for you! As mentioned, the Mardi Himal Trekking takes place in the beautiful Annapurna region of Nepal. It is a relatively moderate trek that isn’t too difficult to do. 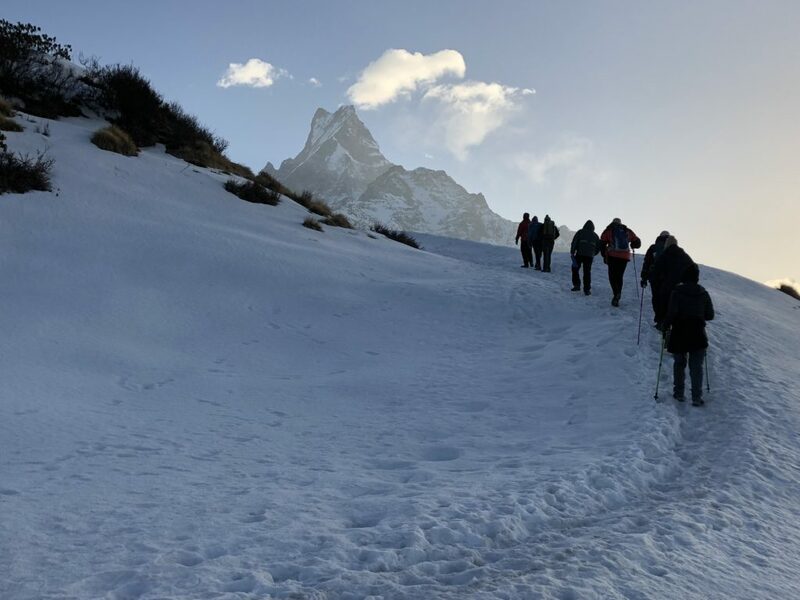 The trekking route of the Mardi Himal Trekking follows many ethnic villages like Phedi, Pothana, Kokar, the Siding village, and Lumre among many others. The landscape of the trekking journey is also a combination of high rocky gorges, river valleys and alpine woodlands. The views of the Annapurna Mountains and the low-lying villages at the foothills of the Himalayas ornamented with rolling terrace farms also make a quintessential appearance along the way. The vast open Himalayan pasturelands and hordes of domesticated goats and sheep contently grazing make for a gorgeous trekking sight. 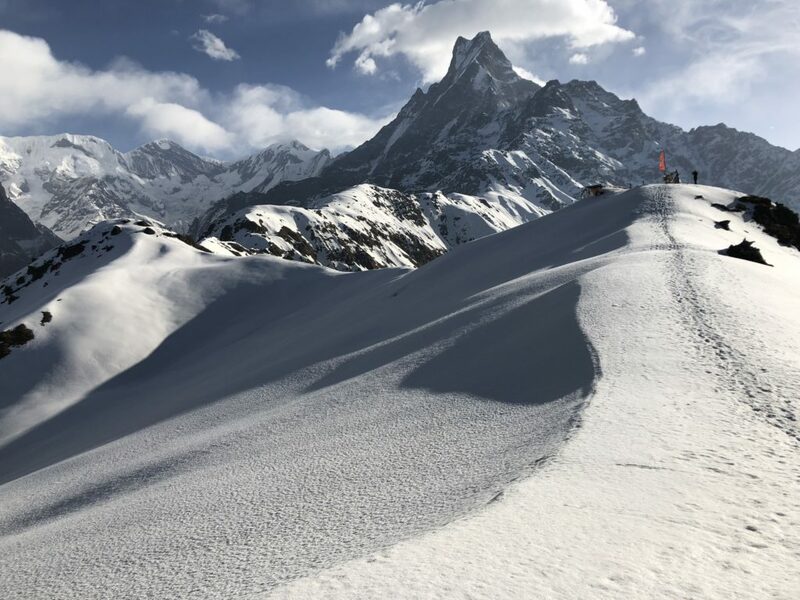 And since the Mardi Himal Trekking is an off-the-beaten-paths trekking experience, you will likely not come across not many trekkers or tourists here. As with most trekking journeys in Nepal, it starts from Kathmandu. From the capital, a drive to Pokhara is done. There are many buses that travel from Kathmandu to Pokhara every day. It takes about 6 hours of driving to reach Pokhara. The lakeside city of Pokhara is a highlight in itself. The city is located right beside the Phewa Lake and the views of the Annapurna mountains, like Machhapuchhre and the Annapurna massif from the city are quite spectacular. Boating on the Phewa Lake is one of the most famous leisure activities to do in the city. After a long drive, you can relax on a boat on the Phewa Lake in the evening and can even enjoy the bustling lake-side bazaar where different cuisines and music are laden out for tourists. Then, from Pokhara, the trekking begins with a short drive to Phedi. A small town located at a hilltop, Phedi lies 45 minutes drive away from Pokhara. It is a beautiful town that is blessed with the backdrop of the Annapurna Himalayas. The village is especially beautiful during the autumn when the harvest is sowed and the terrace-farms look like golden fields. From Phedi, the trail furthers out to the village of Pothana, passing by rivers and coruscating hills. At this point in the journey, the traces of any major commercialization fades away and all that’s left are the beautiful village houses and the beauty of the landscape. From Pothana, the trekking route of the Mardi Himal Trekking reaches a place called Pitam Deurali. The entrance to the Annapurna Sanctuary is located a little way away from here. Forests of oak, maple and rhododendrons grow is clusters along the trail, making for a pleasant trek. A night is spent at the lodge in the clearing of the forest at Forest Camp before continuing the trek. The Forest Camp is also called Kokar by the local people. The lodges at Kokar are quite basic and there is no dining room. Thus, most trekkers who stay here have dinner with the lodge owner’s family in the kitchen. It is an experience that feels more like a home-stay. Furthermore, from the Forest Camp, the path is then followed out further to the Low Camp. The Low Camp lies at an altitude of 3,150 meters. The further you continue on the elevation on the Mardi Himal Trekking, the further the temperature drops. The vegetation also tends to change here, as the rhododendron trees are replaced with grounds and cliffs covered in moss, lichen and tree ferns. The view of the gaping valley and of the Machhapuchhre Himal from Low Camp is quite amazing. The open crisp air and the beautiful serene Himalayan surrounding are extremely aesthetically pleasing. After Low Camp comes the High Camp. It takes about 4 hours to reach High Camp from Low Camp. The trail to High Camp breaks out above the tree line. 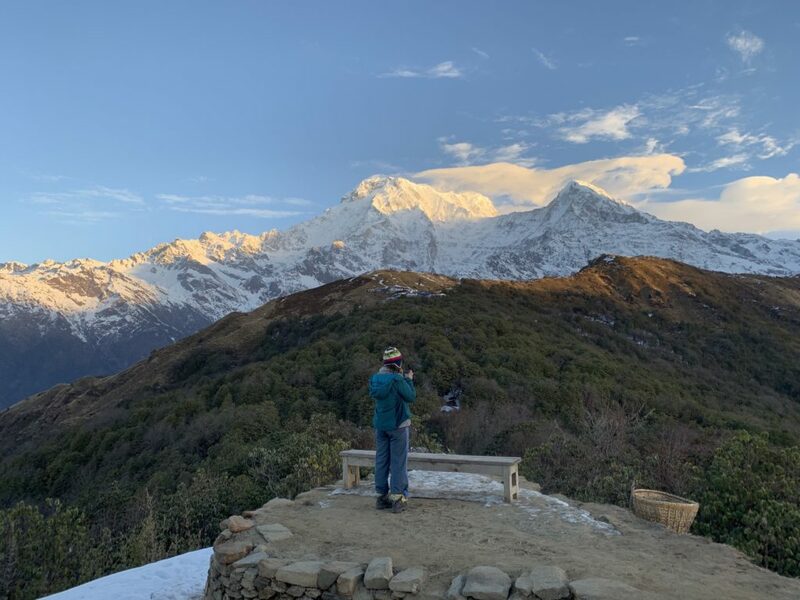 While trekking to High Camp along the trekking trail, the view of the Annapurna South and the Hiunchuli Himal towards the west grace the view. The trail continues along the Mardi Himal ridge mainly on grass with some isolated rhododendron bushes along the way. Colorful Danphe pheasants reside on the trees along the trail. The lodge at High Camp is larger than lodges at the Low Camp and the Forest Camp. The view from the lodge of the Annapurna South, the Hiunchuli and of the Machhapuchhre (Fishtail) at High camp is breath-taking! 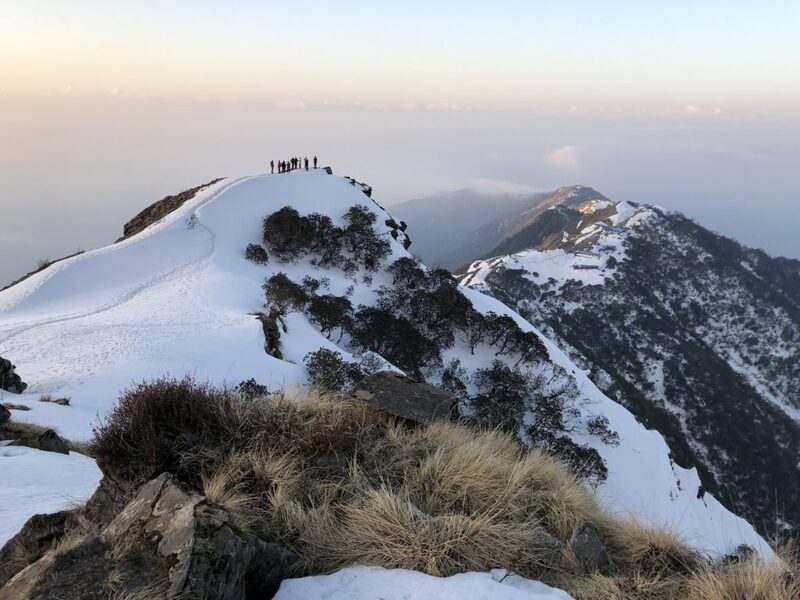 Finally, trekkers can wake up early to enjoy the view of the sunrise amidst the mountains and can continue along ridges to Mardi Himal. There is a well-established trail through the grass with a couple of steeper sections. Overall, the trek isn’t too challenging. Dzos (yak/ cow crossbreds) can be seen grazing up here, along with fleeting glimpses of the beautiful Danphe pheasants. In the summer, the sheep and goats from lower villages are brought up to graze in this area, so a number of herder’s huts can be passed along the way. After three hours from the High Camp, the Upper View Point is reached. It lies at an elevation of 4,200 meters. One can look into the Annapurna Sanctuary from here. The panoramic view of the south face of the Annapurna and all of the peaks in the Sanctuary as well as the Hiunchuli and the Machhapuchhre (Fishtail) from here is utterly beguiling. The seasons of spring and autumn are the best seasons for doing the Mardi Himal Trek. Spring season blesses the land with the bloom of newly budded flowers and the autumn is spectacular with the colors of the fall. During spring and the autumn, there are very fewer chances of rain as well, and clear views of the mountains can be seen. Spring lasts from March to May and the autumn lasts from September to December. 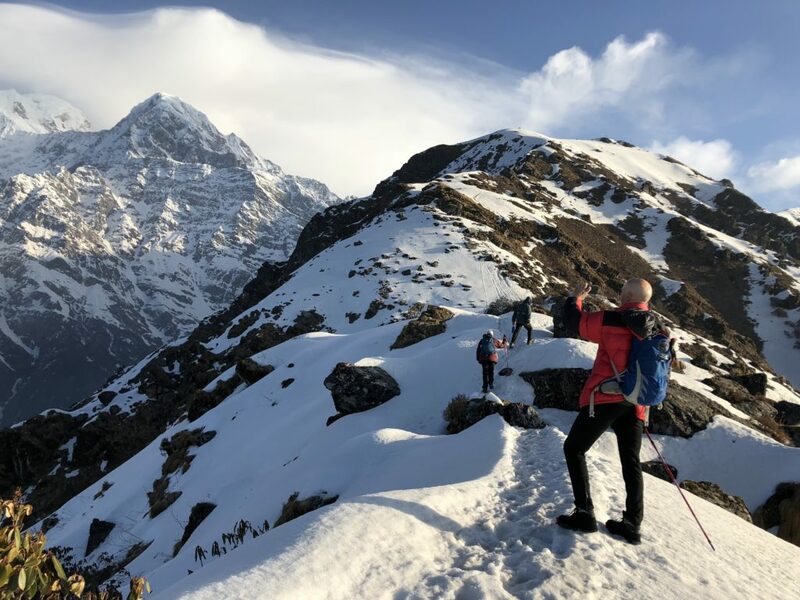 The best thing about Mardi Himal Trekking is that albeit the spring and the autumn being peak climbing and trekking seasons, the trekking trails are not crowded with hordes of tourists. Gurung and Magar villages become lively with the local peopleand the landscape becomes vibrant with contrasting colors of nature. Because the trek is of a moderate trip grading, it can be done by people of all demographics and experiences. It isn’t mandatory to have previous trekking experience to do the Mardi Himal Trekking. 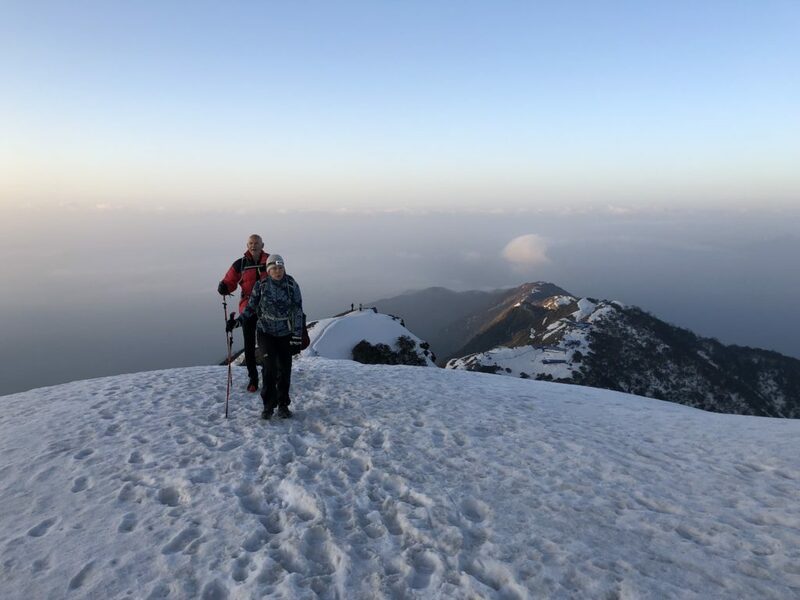 So if you want to experience off-the-beaten-paths trekking journey in one of the most beautiful regions of Nepal, then the Mardi Himal Trekking is the best suited option! You may contact us for more details on the arrangements of the trip!